As a recent Mashable article noted, there’s a lot to admire and enjoy about the Players Tribune. Derek Jeter’s sports website has become a powerhouse, attracting audiences and investors with its promise of content produced by an impressive roster of superstar athletes. The website’s concept, however, is nothing new. It has merely refined the ethically iffy practice of ghostwriting. Since the late 19th century, newspapers realized that articles “written” by athletes would attract readers eager to get closer to superstar athletes and their thoughts. As the United States left World War I behind and plunged into the Jazz Age, Christy Walsh–probably the first true sports agent–took ghostwriting to a new level, matching sportswriters with the iconic sports celebrities of the age (Babe Ruth, Knute Rockne) to generate copy and lots of money. However, Walsh and Jeter do share one practice in common: The professional(s) providing the help for the athletes get zero credit. 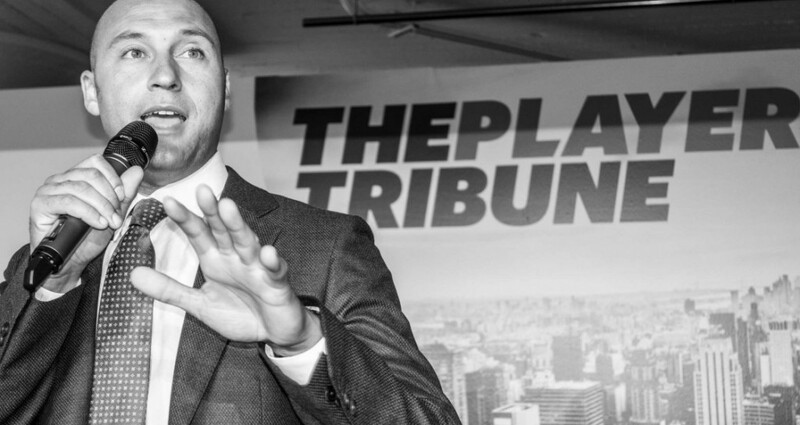 Players Tribune gives the impression that the contribution is 100 percent the players’ words–unfiltered, as Jeter is fond of saying. Of course, no one 100 percent believes that. Nor did they back in the early days of ghostwriting. It’s nothing against the athletes themselves. Writing, like anything, is a craft that takes practice and a little skill. It’s no shame to need help with it. A good editor can identify a lead and make a written piece flow better. All those Web pages and videos don’t create themselves. Why, then, won’t Players Tribune give those trained professionals the “as told to” credit they deserve, for the work everyone knows they are doing? Note: Don’t go telling me that this is not true journalism, that it’s a form of public relations, and that PR staff don’t get credit. Jeter promotes this as a form of journalism, with the same benefits to a trusting audience. And since Jeter and his staff are practicing a form of journalism, they should be aware of the rules of that game, and the fair play that is expected. The ethical concept of “transparency” is a fairly recent addition to the canons of journalism, the result of the changes wrought to the profession and industry by the Internet, and of the same decline in respect for journalism that fueled projects like Players Tribune. As the Society of Professional Journalists Code of Ethics describes the concept, transparency involves explaining processes and decisions to the public, particularly as they relate to ethics. As it relates to The Players Tribune, everyone knows the process requires the involvement of a professional staff, so give them credit, Derek. They’ve taken steps in that direction. Last year, the Players Tribune added a staff page, titled, “The Team” (and isn’t it awesome to see Walter Iooss Jr. listed as a “photographer-at-large” there). But it’s up to Jeter and his site to raise their game. They need to credit the individual contributions of these professionals who help create the memorable stories of The Players Tribune. When Sports Illustrated got the exclusive to LeBron James’ 2014 announcement, “I’m Coming Home,” James and SI also credited Lee Jenkins, who helped James write it. Such credit recognizes that journalism is also a team sport, with its superstars and its role players, its coaches and trainers. So be a team player, Derek; give your teammates all the credit they deserve.